Where is the Best Place to Live Overseas with Your Family? 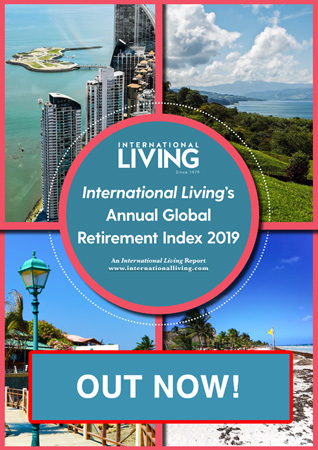 We all dream of giving up the rat race, packing our belongings, and moving some where warm and sunny, but why wait until you retire? Moving overseas can be a big decision, even bigger when you have children—but the benefits that make living abroad a good thing for adults are similar to those that make it a good thing for kids. A lower cost of living, healthier lifestyle, varied life and cultural experiences…they all benefit your child’s life in some way. Here are some of the best places to retire for families. When Michele Chan-Thompson’s husband was offered a job in Malaysia, she struggled to decide whether to uproot their three children and move overseas. After two years of living in Penang, they have now chosen to put off their return to Texas. Their three children–Clark, 13, Brad, 10, and Maria, 8–attend a private school that follows the American curriculum. They have classmates from all over the world including Malaysia, the United Arab Emirates, Japan and Korea. Being able to share experiences from life at home has enriched their learning process. For example, when learning about apartheid, some South African teachers told them about their own childhoods growing up under that system. The family are exposed to different cultures and foods not only in their neighborhood but also in school, which serves Western and Asian dishes. The family spend more time together, without the hectic kids’ activities schedule common in the U.S. In fact jungle treks have become a family tradition for the Thompsons. The low cost of living, quality and affordable health care, along with the many home comforts that are available, from Disney on TV to English movies and books, means that they have found the transition easy. 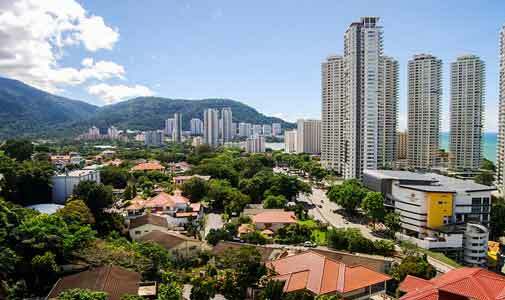 Malaysia is located in Southeast Asia and is a former British colony. English is widely spoken. It has a tropical climate with annual monsoons in the southwest, from April to October, and in the northeast, from October to February. 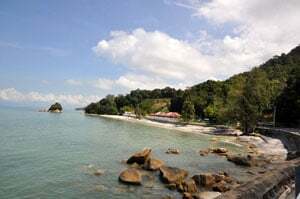 Penang island is a 50-minute flight from the capital of Kuala Lumpur. It is a lush, mountainous island oozing with history and heritage. Wendy and David DeChambeau had a great life in the States, a nice house, new cars and corporate jobs. But while it may be the American Dream, it was not their dream. After a vacation in Costa Rica, they decided it was about time that they lived their dream, so after much research they moved to Ecuador. They picked the mountain village of Cotacachi as their new home for many reasons but mainly because of the advantages it offered their children, Justin, 9, and Jesse, 7. In the U.S. the boys were homeschooled and education was still a high priority wherever they lived. Wendy says, “Education was one reason why we felt that moving abroad would be to our family’s advantage. Instead of having them simply read about new lands and different cultures, we wanted our sons to visit these places and experience the lifestyle firsthand.” The boys now attend a private school in Ecuador. 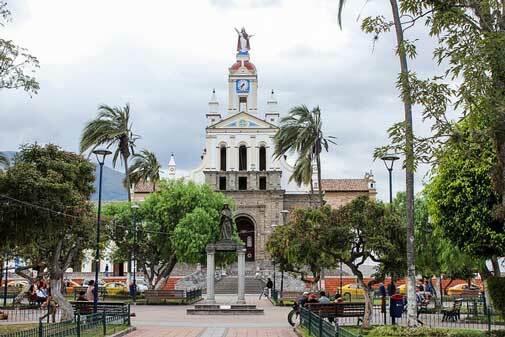 Located in western South America, Ecuador offers something for everything–snow-capped volcanoes to dense Amazon jungle to sun-drenched Pacific beaches to the famous Galapagos Islands. It has the perfect combination of climate, culture, and affordability to help make your dreams come true here. Denis and Susan Roussel are self-confessed globetrotters, their sons—Jonah, 13, and Elijah, 3, have traveled more than your average Canadian kids. Denis works in marketing and online advertising, a job that he can do from anywhere with an Internet connection…and Susan is a teacher, a job that’s easy to find nearly anywhere in the world. Jonah attends an international school where Susan also teaches along with other parents. Parents teach elective subjects ranging from baking and poetry to rugby and web development. Their cost of living is half what it is back home in Alberta, including rent of an ocean view condo and tuition fees. The locals are friendly and welcoming, attempting to teach Susan Spanish. Panama is more developed and modern than most people anticipate. It has the most advanced and modern infrastructure in the region and luxuries and amenities are affordable due to its low cost of living. 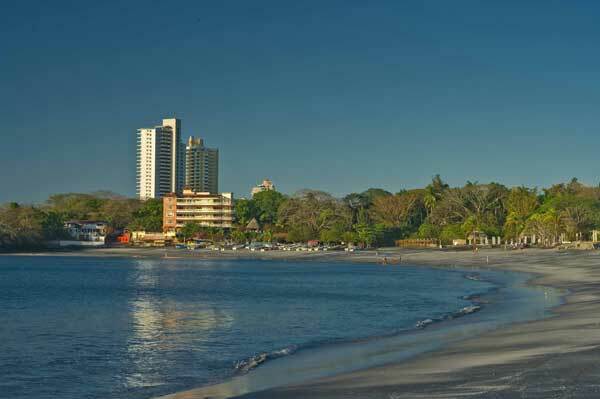 Gorgona, a Pacific coast beach community not far from Panama City and close to Coronado, is convenient and very affordable.